Welcome to McClellan Law Office, L.L.C. At McClellan Law Office, L.L.C., we are dedicated to providing the highest quality of legal representation while maintaining a close relationship with each of our clients. We represent people in need of help after an injury or accident. We represent persons with work injuries and have extensive experience with disability cases. There is never a charge for an initial consultation. Our hours are flexible to accommodate the needs of our clients. Evening and Saturday hours can be arranged by appointment. To arrange an appointment call the number below or contact me by email by clicking at the right. We will get back to you within twenty-four (24) hours. 12020 Shamrock Plaza, Suite 333, Omaha, NE 68154. (402) 344-8044 - McClellan Law Office, L.L.C. Michael D. McClellan is an experienced Omaha lawyer, licensed to practice in both Nebraska and Iowa. To learn more about Mr. McClellan, areas of practice, and our philosophy concerning offering quality services at reasonable fees, check the buttons to the left. To contact us by email click the link to the right. Personal injuries caused by the negligence of another happen at any time, even when you are careful. We have represented clients with automobile negligence cases, negligence in the course of medical care (also known as medical malpractice), and in many other situations. We help our clients and their families deal with the stress of the injuries and the resulting expenses. You need help in that situation and we provide close client contact along with contingency fee arrangements where you have no liability for attorney fees unless we make a recovery on your behalf. For more information and guidance in how to deal with the effects of your injuries contact McClellan Law Office, L.L.C. ▣ DISABILITY CLAIMS At McClellan Law Office, L.L.C. we represent social security disability clients from the initial application up to the appeal of your case. Our fee is 25% of any back benefits you receive after you are granted disability plus expenses. If your social security benefits are not approved, you do not owe attorney's fees or expenses. Michael McClellan serves on the Board of Mental Health in Douglas County and is experienced in dealing with persons suffering from a disability and the stress which it can cause. If you know an adult who has been incapacitated and can benefit from the care and assistance of a guardian, McClellan Law Office works with you and a Nebraska or Iowa court to establish a Guardianship. We can also help you file a petition for a conservatorship if you know a minor or an incapacitated adult who needs help managing their estate and financial affairs. We handle a variety of general civil litigation cases including will contests and business disputes. We represent landlords in the eviction process and offer experienced representation in local courts. A significant portion of our practice involves real estate matters, including closings and real estate transactions, both residential and commercial. This includes real estate purchases, sales and leases. In addition we have handled many zoning and land use cases representing clients before municipal bodies seeking zoning changes. We have also represent clients challenging zoning changes and other land use changes that affect real estate. 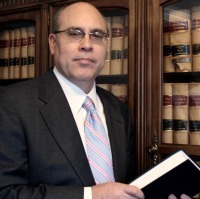 Michael D. McClellan is a highly experienced and competent real estate lawyer. He is more than capable of representing either plaintiffs or defendants in real estate litigation for business, commercial, and residential real estate disputes. McClellan Law Office, L.L.C. has handled a variety of municipal law issues, including civil service law and regulations. Michael D. McClellan has represented a local civil service commission, in addition to representing a municipality in all aspects of zoning and land use law. Our firm works with individuals and families to ensure that the clients’ descendants are properly cared for through an Estate Plan and that all assets are transferred from one generation to the next in accordance with our clients’ goals. Social Security Disability - Get Help! Contact McClellan Law Office, L.L.C. Suite 333, Omaha, NE 68154.